KARACHI: Finance Minister Asad Umar has expressed his resolve to simplify income tax return forms and sales tax procedure to facilitate business community. He was talking to businessmen and office-bearers of the Federation of Pakistan Chambers of Commerce and Industry (FPCCI) here at Federation’s Regional Office Lahore. State Minister for Revenue Hammad Azhar and Federal Board of Revenue (FBR) Chairman Jahanzeb Khan also accompanied the finance minister. FPCCI President Engr.Daroo Khan Achakzai, FPCCI Regional Chairman and Vice President Abdul Rauf Mukhtar, Vice President Shireen Arshad Khan and other prominent businessmen also shared their views. 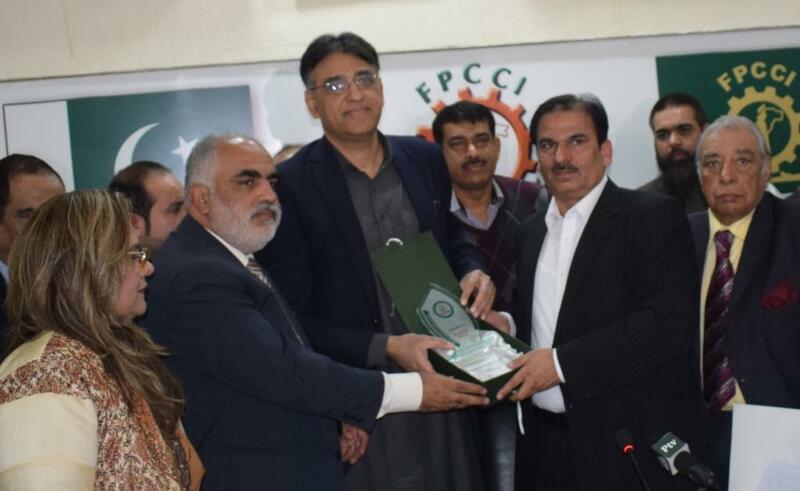 The finance minister appreciated the FPCCI’s idea of establishing Cottage Industrial Estate and said that he would recommend it, while the relevant provincial government would also be taken on board. “Small industrial units played pivotal role in the creation of new employment opportunities as well as work as a proven catalyst for the economic development of the country,” he opined. He added that simple mechanism for tax returns and sales tax was need of the hour to restore confidence of the industrialists and business doing people. He assured that new and trouble-free system for tax return would be put in place during the current year. He, however, stressed the need for implementation of an effective tax audit system that would not only control tax evasion but also help real collection of tax revenues. Regarding electricity system, he was of the view that the old system of power distribution and tariff would have to be deregulated, and new rules and regulations in this regard would have to be formulated and implemented. 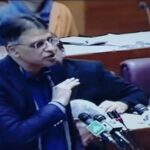 Asad Umar said that Special Economic Zones (SEZs) were indispensable to attract local and foreign investments into Pakistan, asserting that though new SEZs would be established under CPEC, the fully activation and facilitation of the existing ones were of great importance for jacking up the country’s exports. Establishment of SEZs was a priority agenda item of the present government and SOP (Standard Operating Procedures) would soon be put in order, he maintained. The business community should take over the operations of the industrial estates and Special Economic Zones (SEZs), he asserted. Asad Umar said that surplus wheat in the country should be export but after its value addition. He said that cotton was the backbone of Pakistan’s economy, therefore, a comprehensive strategy would be chalked out in 2019 by taking all the stakeholders aboard. Finance Supplementary (2nd Amendment) Bill 2019 would definitely facilitate the 51 percent of the population (womenfolk). This bill will also enable women entrepreneurs to start or expand their businesses easily and also facilitate the working/jobber women, he added.